Love coconut? This box is perfect! I am yet to feel disappointed by a single box from Treasure Tress and it doesn't look like that is going to change. 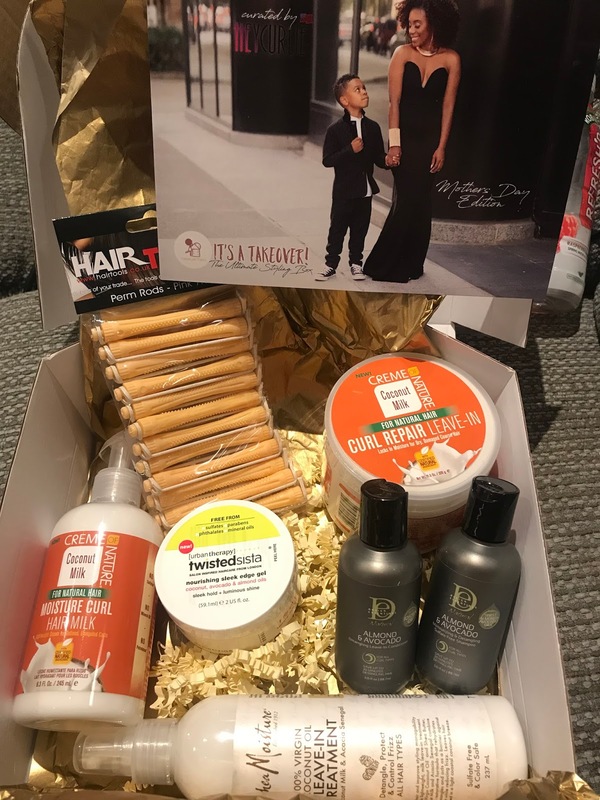 This months box is a mothers day takeover by @heycurlie who has been hailed the twist-out queen, and is filled with goodies and tools to help you achieve that perfect twist out at home. Coconut is one of my fave smells, especially when it comes to hair products, so i was in love with the goodies in this months box! March box came with 3 full sized products, 2 mini products and a set of tools. This is a new range from Creme of Nature and one that i haven't tried before. The coconut milk range has a wide variety of products in it and i am pleased to see a leave-in is one. "Restore body and shine with this curl repair leave-in conditioning creme infused with certified natural coconut oil. This rich cream instantly detangles dry, lifeless curls and moisturises for manageable hair with less frizz. Use daily to hydrate, prevent breakage, and promote stronger, healthier hair." The first time i tried this product i didn't like it. I thought that it left my hair very sticky, weighed down and i didn't find that it left me with great results. After trying this again on freshly washed hair, as per the directions, i completely changed my mind on this. I realised that sometimes, following the directions is the best thing to do! This leave-in is thicker than ones which i am used to, so using a lot of it, is a no. This creamier consistency requires less, but does an amazing job of creating frizz free curls. It smells amazing, and the smell lingers all day. After using this and the Curl Milk on washday, i received so many compliments from strangers about how good i smelt. Would i buy this product? Yes. I can see it lasting awhile, and i was happy with the results. It isn't as good as some of the other leave-ins which i use, but i think that is due to me still getting used to using a leave-in which is so heavy, and so i would still buy it again. 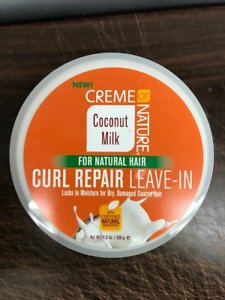 Another product from the coconut milk range by Creme of nature, brings us this Moisture Curl hair milk. This is a daily moisturiser which can be used on dry or damp hair. "Kiss, lifeless, frizzy tresses goodbye with this moisture curl hair milk infused with certified natural coconut oil. Hydrate with this lightweight hair milk to deeply moisturise, elongate curl, prevent breakage and leave hair soft. This milk will improve manageability of your strands by taming frizz and adding shine." Again this product smells absolutely amazing, and in this harsh winter, transports you to a tropical island. This daily lotion comes in a pump bottle, which i am not usually a fan of, but again this thick consistency cream just requires a small amount and does a fantastic job. I can see this being one of my faves already. I love that it can be used on dry hair as well as damp, because i don't like to wet my hair everyday. I found that this hair milk created really soft, defined curls instantly, and these curls stayed. Would i buy this product? Yes and i cant wait to try more from this range too. I have seen this a few times on instagram, but as with a lot of shea moisture products, i haven't seen it anywhere in the UK. I was very excited to see it was in this months box. "Soften hair and improve styling manageability with this lightweight, milk leave-in treatment...this restorative formula...rehydrates hair, detangles and acts as a barrier against heat with reducing frizz. Leaves hair wrapped in a light coastal coconut breeze." I didn't get this product at first. With it saying "Leave-in treatment" i wasn't sure if this was something which you leave-in or rinse out. A quick read of the instructions told me that you leave it in. This leave-in treatment is basically a leave-in conditioner, but in a milky spray form. This is the second leave-in to be included in this box and again smells great. I really like this spray. 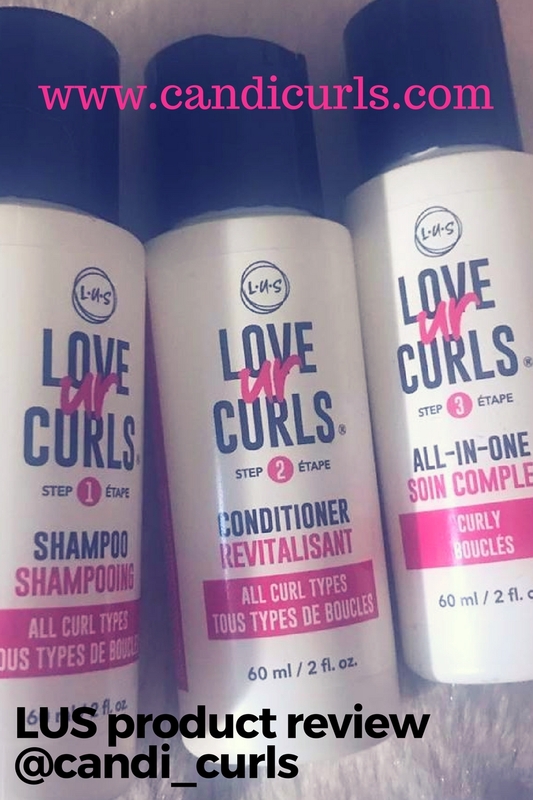 It is perfect for refreshing your curls without soaking them with water, and because it is in spray form, it is one of the most lightweight leave-in conditioners i have ever used. 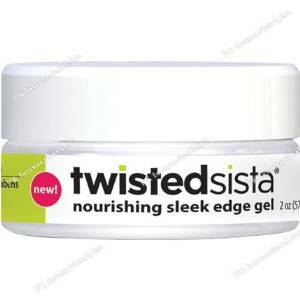 TwistedSista is a brand which i have tried before years ago and forgotten all about. It is so easy to get hold of in the UK and i didn't find any faults with the products i had tried from them before, so i was quite excited about this one. I am still a newbie when it comes to slaying my edges, so the more edge control gels i get sent, the better. This nourishing, sleek edge gel contains coconut, avocado and almond oils. 3 of my favourites and claims to give "sleek hold and luminous shine." I could honestly eat this stuff! It smells like sweeties!! I wouldn't say that this stuff gave a great hold to my edges, and i found that they didn't stay stuck for very long at all. It did however leave a shine on them and didn't leave any flakes in my hair. Would i buy this product? no. I rarely attempt to do anything with my baby hairs and i don't think that this edge gel was great at sticking them down at all. I love the smell though and will be smelling more of their products to find if they all smell this great. Design Essentials; Almond and Avocado moistuising and detangling sulfate free shampoo. 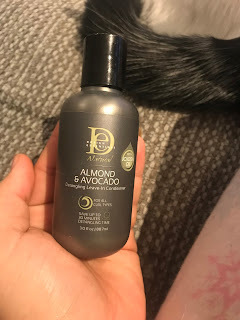 This month we were given 2 mini bottles from Design Essentials Almond & Avocado Range. I have only tried a curl spray from the Monoi Oil range once before, but again i have seen this range on instagram a few times. The first bottle we were given is a sulfate free shampoo. I am not a shampoo fan but when i am going to shampoo, it has to be a sulfate free one. More great smells from these two minis, and i was very surprised at how my hair felt after using this shampoo. It was so soft and easy to manage, which usually doesn't happen with shampoo alone only after adding conditioner. Would i buy this product? 100% yes. Design Essentials; Almond and Avocado detangling leave-in conditioner. This brings the total number of leave-in conditioners in this months box to 3! I love a good leave in so i am more than happy to recieve them. 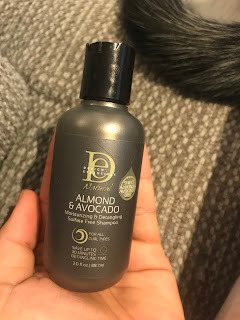 This leave-in works better on wet hair and mixes well with a lot of other brands which is great. Some leave-ins do not mix well with creams and lotions of other brands, but i haven't had any problems with this one at all. This mini size is perfect for giving you a fair chance to try it out a couple of times before basing an opinion, and that is why it has taken me a while to do this review. I didn't want to use them one time, and then make a decision on if i would recommend it. Would i buy this product? Yes. I really like this range and i can not wait to try more. Some boxes come with extras, whether it is samples, an extra product or tools. This months box had a packet of perm rods. I was actually thinking the day before, about trying perm rods or flexirods as i have only used flexis once before (the result was ok, not great). It was so crazy that i opened this box and there they were just sat waiting for me. I haven't had the chance to try them out as of yet however, due to being really busy with work. A fantastic box to provide perfect moisture in this wet weather. Check out my unboxing video on youtube below.